These are basic economy fares which include carry-on bags and meals, but do not include checked bags or seat selection. Buying up to main cabin economy costs $110 to $190 more round trip, depending on route. Sale dates are select weekday departures, with a few Friday options as well. 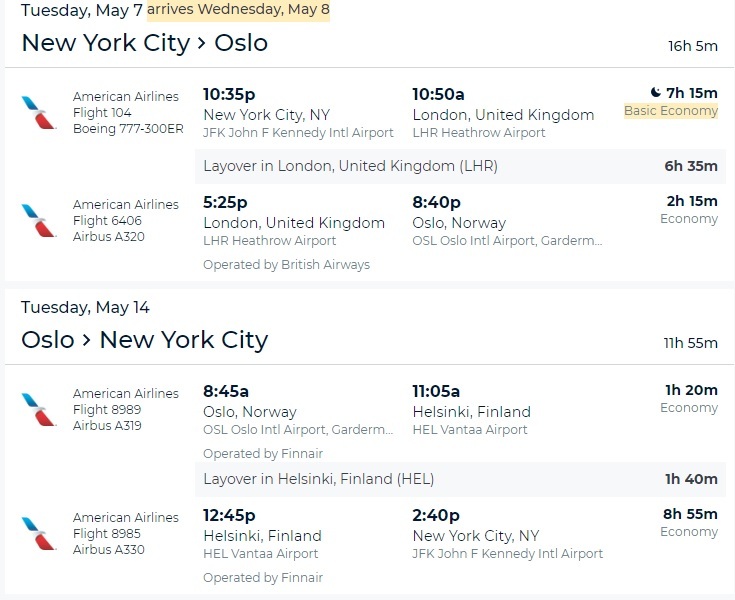 The lowest fares are available by booking through Priceline or with AA directly; some other OTAs will price different dates for $6 – $20 more, providing you options for more sale dates than just those visible on Google Flights. Search multiple locations for your best chance to catch these prices.